Click the tile to go to FaceBook and follow us there. We recomend Bryden sheds for all your other garden building needs. We recomend Dalestone Paving for a top quality job that will stand the test of time, from driveways to patios and paths. +44 (0) 1274 830453 if outside the U.K. 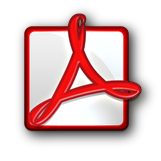 In order to view and download the data sheets you will require Adobe reader, click the tile to download. The show site is open to viewing 7 days a week at any time.